Diamond: The First Cut presents the initial output of a system being built to provide long term monitoring for the TV production industry.The First Cut presents data collected by Diamond between its launch in August 2016 and July 2017. The First Cut was updated in May 2018 and can be found here. The original report is available below. 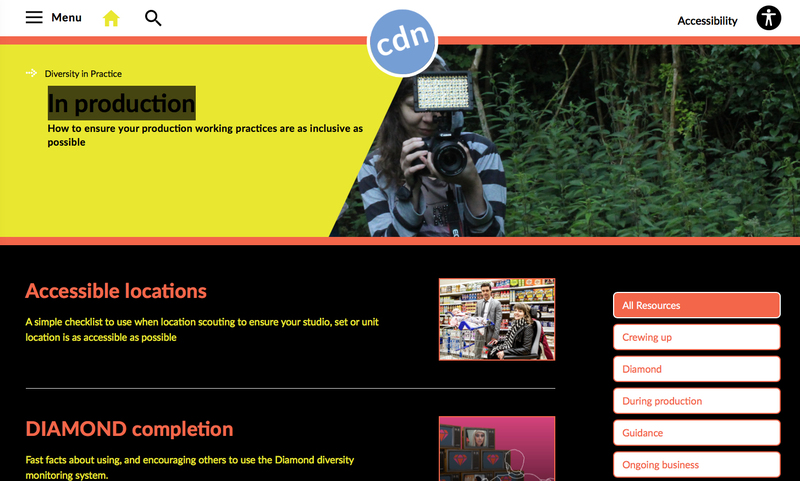 Creative Diversity Network asked The National Centre for Social Research (NatCen) to undertake a quality review to support its first Diamond report. A set of Technical and Reporting FAQs are also available to support Diamond – The First Cut, alongside Diamond Guidance Notes. Diamond: The First Cut was presented at the Delivering Diversity: From 90210 to E20 session at Edinburgh International Festival 2017.